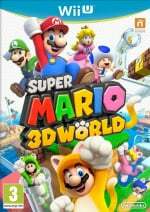 Super Mario 3D World brings a new power-up to the party with the Cat Suit and it looks as though an old classic will also be available for Mario to use too. 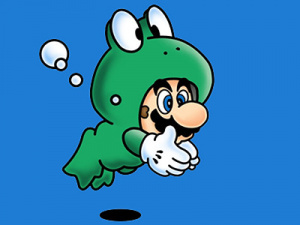 During a presentation at E3, attended by IGN, Nintendo announced the Frog Suit would be making a comeback and it'll most likely help out in any underwater segments Mario and pals will come across. So that's another suit confirmed for Super Mario 3D World, what others would you like to see return? Let us know in the comment section below. Good, makes mario look funky! I hope you can obtain it out of water, too. I love trying to play normal levels as frog Mario. Now if they just added the boot from SMB3 this will be an AWESOME game , I mean Peach is a playable character so that alone warrants it's purchase as well throw in some online multiplayer and it will be a must buy for the Wii U - So looking forward to this title . The Tanooki suit was shown in the trailer. You know, Kuribo's Shoe was literally only in ONE stage in SMB3. THat was the most underused power up ever. Still want to know the plot and see Wart, damn it! I hope there is a batch of SWorlds. I think they did well by chosing this kind of a mario game. Now sonic stands out even more. I mean cmon, we already have sonic galaxy. 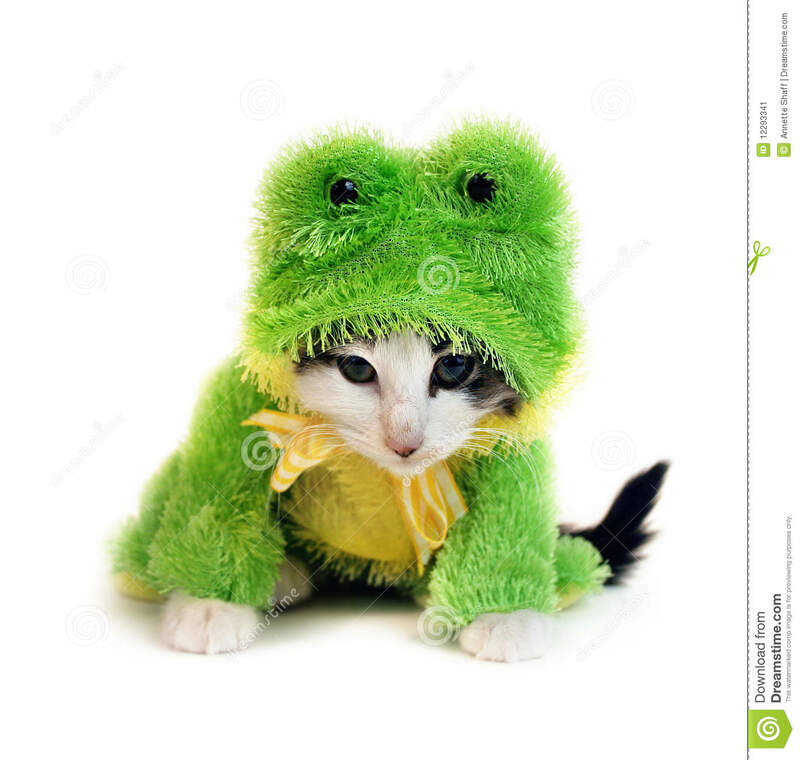 I want my cat suit to wear a frog suit. A mink suit, just to enrage PETA. Add a whole bunch of endangered animals for best effect. Click the source and see the photo. Then look at Miyamoto. I love the frog suit. Maybe some powerups from the galaxy games? Spring mario, cloud mario, rock mario, ice mario? Riding yoshi would also be a great thing to add. I'd like to see more new powerups, too, in this game other than just the cat suit. I want the hammer suit to come back. It was the most powerful power up next to the star. You could kill thwomps and boos with it. Plus it looked totally baddonkey . Well, this game is just looking better and better! Should have brought this back a long time ago. Probably thinking of getting this game now. Ha!!! I knew there would be more! I'm just waiting on new info on the object throwing mechanic. I think there's more to it than was demoed. Yesterday we saw a snowball tossed from one player to another. And then finally tossed at a bad guy. I think there's more to this play mechanic. Very excited to see more of this and more power-ups in the coming weeks! All we need is Kuribo's Shoe and we're golden. I want to see the Cape from Super Mario World make a comeback! I want to see the Patent Infringement Suit! I think that sums this up nicely. Cool. The spring and penguin did not do it for me. I have been looking forward to the return of the frog suit for a very long time! I like the return of the Frog Suit but I'd kill for the return of the boot thingy from Mario 3. By far, my favorite power-up ever in a Mario game even though it was barely used. There's something cute and charming about it that I love. Haven't seen the suit in a while, glad to see it come. 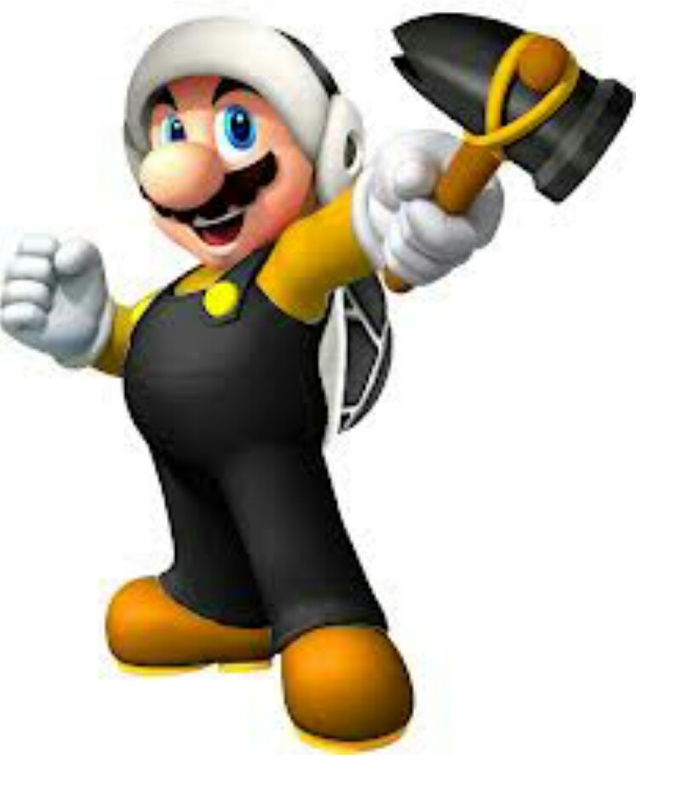 This looks cool and all, but when will we see the return of the Hammer Bros. suit, Nintendo? They can add every single power up the Super Mario series has ever seen. Im still not buying that piece of excrement!! Cat Suit, Frog Suit, Tanooki Suit, Fire Flower, and Super Mushroom. And we're only on the second day of E3? And we already know about this many power-ups? This is now officially my favorite 3D Mario ever and i don't even have to play it. Toad, Princess Peach and luigi being playable characters with their SMB2 character abilities in tact(which also means you're not saving Peach for the zillionth time, can you say refreshing? ), new unique bosses, transperant/clear toobular(hehe) pipes, the Cat suit, classic retro-like Mario controls all in shnazzy next gen HD Nintenpaint. its crazy how small news like this can make me so happy! will the princess frog still float? The Cape, the Hammer Bros. Suit, and the Boomerang from Super Mario Advance 4 all needs to return. If this is true that would be neat!